Mark your Calendar – Kimberly and Janie Jewelery Boutique – Dec 6. 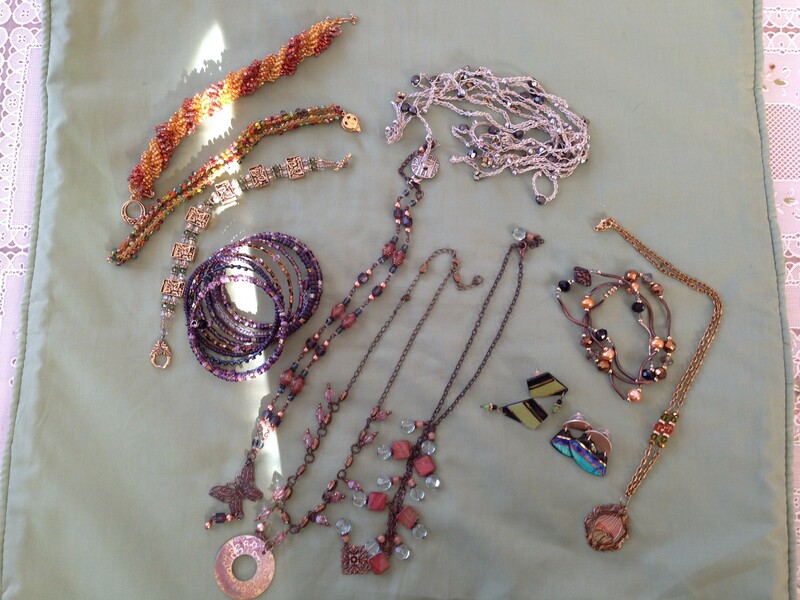 My collection shows a sampling of Kimberly and Janie’s works! On the 27th I shouted out about the Gift Boutique featuring Kimberly’s Craftini and Janie Rose’s Jewelry. I intended to post photo of my collection later that evening…instead it’s early evening two days later. Hope to see you tomorrow! There’s a break in the rain…..
No need to stay home tomorrow…come to Kimberly’s and Janie’s Boutique Gift Sale hosted at Skein Lane Studio. You’ll not only find great gifts but you’ll have a lot of fun. See you tomorrow! Here’s another preview of Kimberly’s collection…. 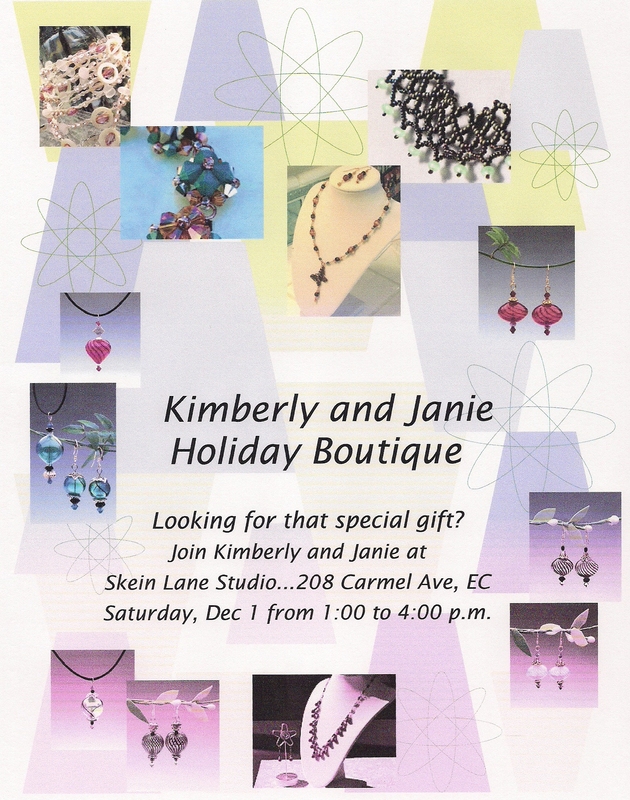 Are you looking for just that special gift….come see what Kimberly and Janie have to offer at their Boutique Holiday Gift Sale being hosted at Skein Lane Studio on Saturday, December 1 from 1 – 4 p.m.